The original Jeepster was produced by Willys-Overland from 1948 through 1951. Willys had been having some success with the Civilian Universal Jeep model CJ2A after World War II and introduced the improved CJ3A in 1948. In trying to compete with the other mainstream automakers Willys built and distributed the VJ2 designation which was a car like vehicle with distinctive "Jeep" features. It had the open body design of a phaeton with a snap on soft top and plastic side curtains. Willys had envisioned a sports-car to attract the post-war young public including those returning GI's. 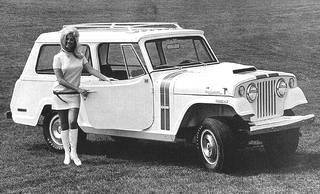 However, even though the styling was sporty, and to say the least unique, the Jeep car had many marketing weaknesses. First of all the rag-top and side curtains provided little relief from the elements leaking cold air and rain into the interior. The little 4-cylinder "Go-Devil" engine, although tough and proven, was not the sort of power expected by sports-car minded customers. A 6-cylinder engine was installed in the 1949 VJ3 series which helped a little in the power department. All of these models were only available in 2-wheel drive which deviated from the Jeep rugged go-anywhere reputation. Although a nice looking vehicle, the Willys sports-car could not compete with the bigger automakers, and on top of that the price tag was not competitive. A buyer could get a more equipped convertible with more conveniences and power from the other major automakers for less than the Willys Jeep car. By it's last production year of 1951 the VJ was merely a carry over of the 1950 model and was then phased out. Sales had been dismal and the Korean War had at least some affect on the cost and availability of materials for the civilian market. Today these early VJ models are great collectibles for restoration. I think Willys was way ahead of it's time because these sporty car-Jeeps are quite handsome and very unique. 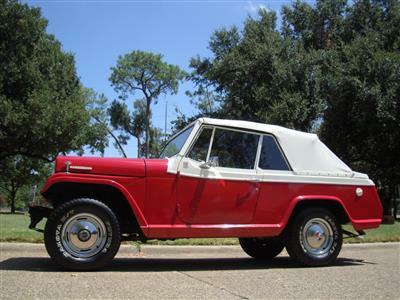 By 1967 the Kaiser Corporation owned Jeep and with a 16-year gap between models decided to revamp the concept of the original Jeepster. Looking almost identical to the original '48 to'51 VJ models the new Kaiser Jeep versions tagged on the "Commando" title to a station wagon, roadster and pickup variation. A top-of-the-line model did not use the "Commando" designation and was a true convertible with a manual or electric (optional) retractable soft-top. These models were built on the CJ6, 101 inch wheelbase frame. Hence, they were designated C-101 models. See how the Jeepster compared with the CJ6. American Motors Corporation (AMC) bought Jeep from Kaiser in 1970. 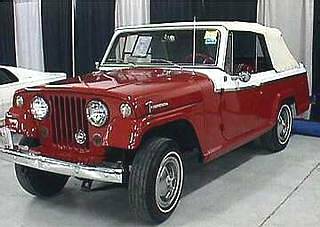 As with changes administered by AMC to other Jeep vehicles, the Jeepster was no exception , especially in the engine department. AMC made their more powerful proven engines available in the C-101's, and by 1972 had dropped the "Jeepster" title and began referring to them only as "Commandos". As the CJ6 wheelbase had been lengthened to 104 inches so went the Commando...and the designation of the Commando changed to the C-104. It should be noted here that AMC and Hurst Shifters collaborated in late 1970 and early 1971 to produce a Hurst/Jeepster which had a sporty hot-rod look incorporating a hood scoop, hood mounted tachometer, custom stripes, Hurst insignias and of course the Hurst shifter. These are rare and highly collectible today. Also, around mid-1971 the SC-1 Commando package was produced as a jazzed up Station Wagon sporting special gold paint, a black rally stripe with the "SC-1" logo, luggage rack and a top grade trim package. 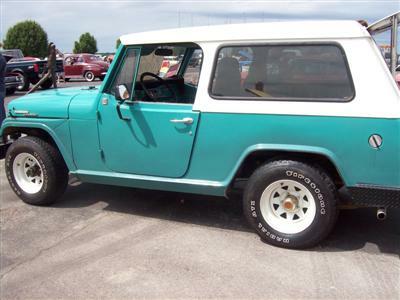 The Commando was discontinued in 1973 due to poor sales, especially compared with the more competitive offerings from Chevrolet, Ford and International Scout. I still think these unique vehicles were ahead of their time...even in the new era. Chrysler should consider replicating these designs with today's modern engineering. I think they would be a smash hit! 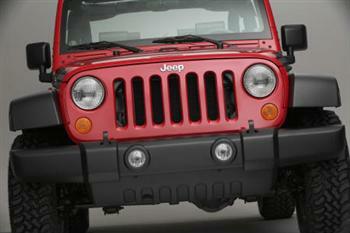 Cheap Jeeps: How and Where to Get Them!